Posted March 9, 2017 by Staff Writer & filed under Arts & Entertainment, Movies. 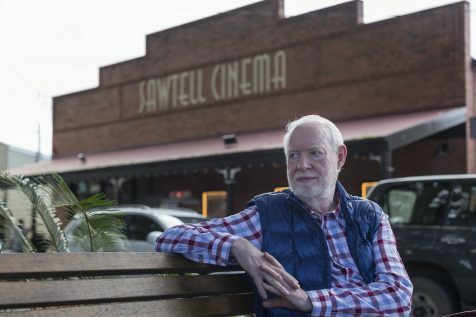 David Stratton has spent a lifetime reviewing and critiquing cinema from all around the world but his story is very Australian and his passion for movies has seen a new documentary being made about his life. Stratton who is best known as the host of the ABC program At The Movies and SBS’s predecessor The Movie Show with Margaret Pomeranz saw them together on television for 28 years until 2014 when they announced their final goodbyes. The documentary however reveals a lot more about Stratton’s earlier beginnings from working as the director of the Sydney Film Festival to writing reviews for Variety Magazine. He has also made friends and enemies amongst the Australian film directors fraternity, most of whom now appear in the documentary praising Stratton for his contribution to a lifetime of film reviewing. Whatever you think of the man, this is a charming documentary with stellar appearances from Sam Neill, Geoffrey Rush, George Miller and Nicole Kidman amongst many, but what audiences will take away from it is not just entertaining stories about Stratton, the man behind some of the most provocative criticism but the stories of Australian cinema as a whole.